Below are some ideas for Sunday school snacks for Valentine's Day. Try making up one of these snacks for your kids. Some snacks are simple and others take a little more time. I like to bake sweets and make cupcakes so you will find a lot of sweets and cupcakes in my Sunday school snack section. ( I like cupcakes if you can't tell that by now.) If you are pressed for time then try altering the snack to make it easier for you. I do realize that a lot of teachers simply don't have the extra time to bake, so finding a snack without much effort would be preferred. You could always fill ziplock bags or small cups with cereal and just write the scripture number on the cup or ziplock bag if you are in a hurry. However, I must say that children are very pleased when you go out of your way to make them cute treats. Believe it or not they will remember this stuff when they grow up. You can be the awesome Sunday school teacher that went the extra mile for them!! If you want a really easy fix then try buying a box of popsicles. That is an easy one. No work required and the kids will thank you a million times over. Be sure to check out the Valentine's Day Sunday School Lessons we offer. 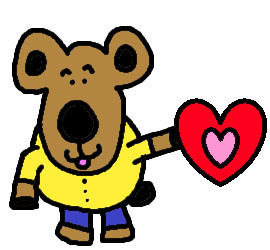 We also have Valentine's Day Coloring Pages for Sunday school and a Valentine's Day Teacher Section for school kids.